Rod Taylor (The Birds) plays H. George Wells, a scientist who, in the late 1800s, creates a time machine that takes him into the year 802,701 — with startling results. H. G. Wells was one of the true architects of the genre known as science fiction. A humanist, scholar and visionary, Wells was also a conflicted man –- a scientist who did not trust science, and was unsure of mankind’s ability to control its scientific discoveries. First published in 1895, Wells’s first novel, The Time Machine, has fascinated readers all around the world ever since its first publication. It is no surprise that producer-director George Pal, primary known for his fantasy films and who had successfully adapted the author’s The War of the Worlds, chose to bring this story to the big screen. Wells’s novel has many elements that Pal found very appealing –- a fantastic tale that provides marvelous opportunities to showcase some interesting visual ideas. Fortunately, this film adaptation of the classic novel retains much of Wells’s original ideas, with some interesting changes to format the story to Pal’s sensibilities. It is fascinating to see Pal replacing some of Wells’s pessimistic views with his own more optimistic ideas. The result is a fun film with a lot of energy and heart. 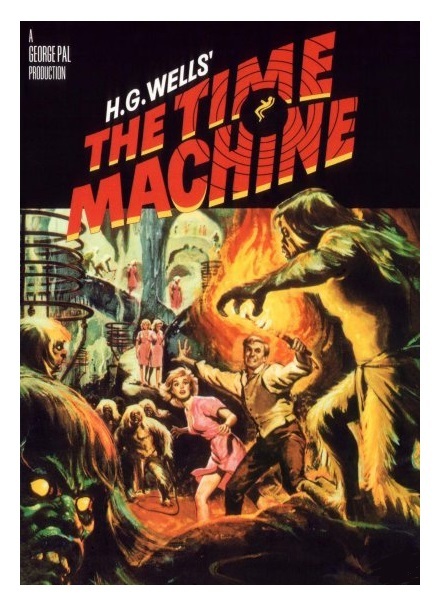 The Time Machine, written by David Duncan, works on two different levels –- its playfulness will provide kids and undemanding viewers a fun time, and its social commentary and complicated moral statements will satisfy more demanding viewers. As Hollywood creates more and more mind-boggling, empty-headed sci-fi extravaganzas, this film looks like a refreshing alternative. Beautifully acted and executed, this film will always remain not only a testament to writer Wells’s imagination, but also a testimony to the creative power of filmmaker Pal. Imagination and artistic visualization have found a common ground here. 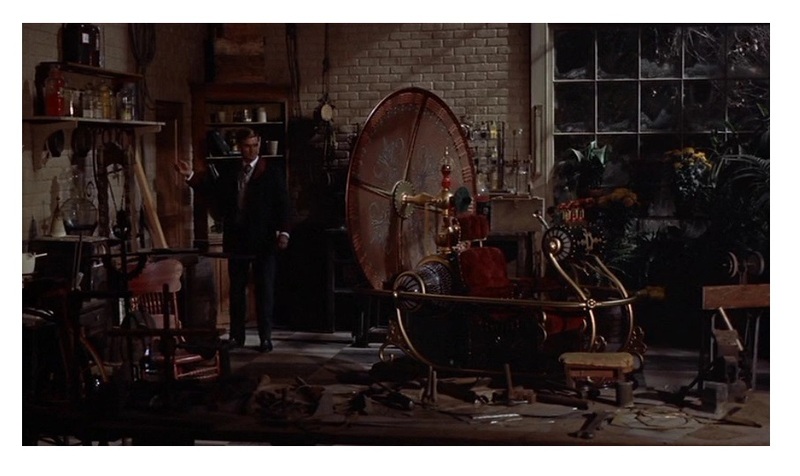 The Time Machine is helped immeasurably by Rod Taylor’s unassuming movie-star personality. He really makes “the ride” enjoyable. Taylor is surrounded by a wonderful cast that includes Alan Young (TV’s Mr. Ed), Sebastian Cabot (TV’s Family Affair), Tom Helmore (Vertigo), and Yvette Mimieux (The Black Hole). The Oscar-winning visual effects (by Wah Chang, Tim Baar and Gene Warren) are beginning to show their age, but this is expected from almost all sci-fi films. Russell Garcia’s (Captain Newman, M.D.) invigorating music score still sounds great, though. 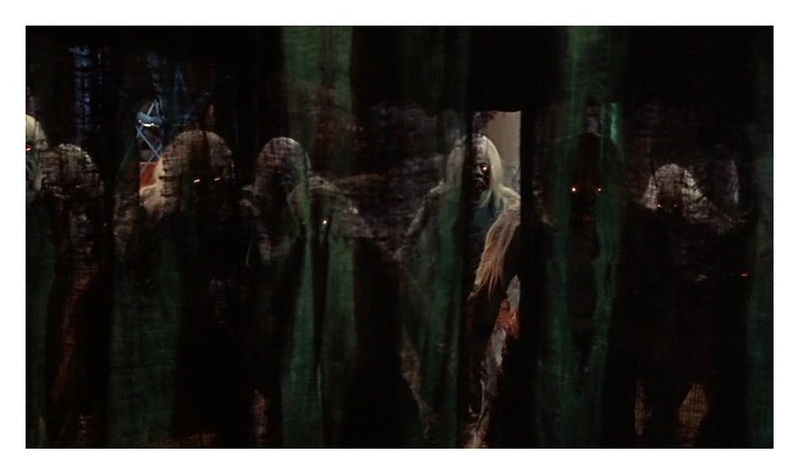 The hideous “Morlocks” were designed by iconic make-up expert William Tuttle (Seven Faces of Dr. Lao). Paul Vogel (The Wonderful World of the Brothers Grimm) is responsible for the the beautiful color cinematography. The Time Machine debuted in movie theaters in August of 1960. Critics praised the film, and audiences made it a big hit. Now, more than fifty years later, I’m happy to say that the film is still lots of fun. Remade in 2002. Color, 103 minutes, Not Rated. Love this film my best friend turn me on to it and I loved it. re-vesited it a year ago and still love it. the visual effect were out of this world back then. I did not know they remade it. I am sticking with the original.